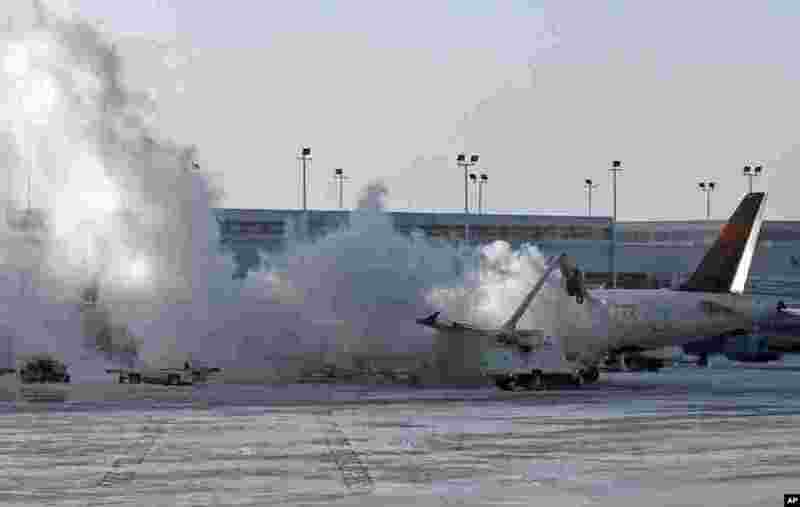 ١ A Delta plane is deiced at Chicago Midway International Airport, in Chicago, Illinois. The bitter weather comes after a heavy snowstorm hit much of the region last week. 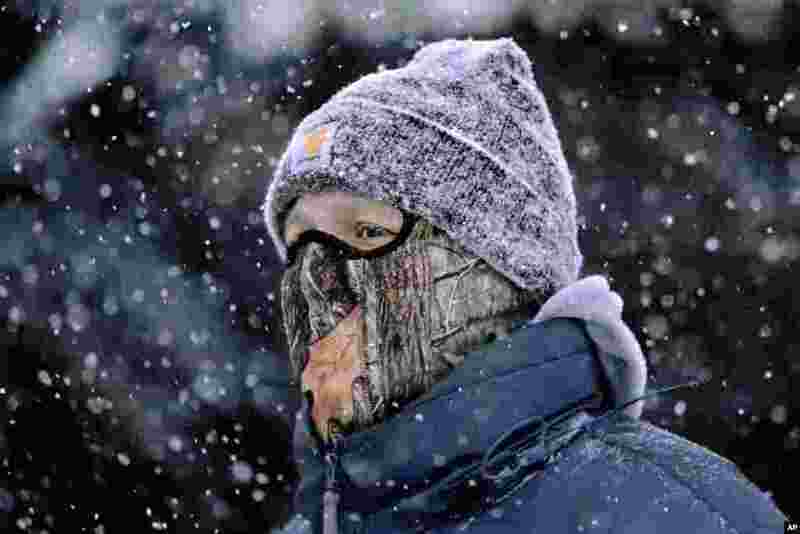 ٢ A man wears a face mask and heavy clothes while walking through downtown Springfield, Illinois, USA, in blowing and falling snow as a strong winter storm moves through the Midwest, Jan. 5, 2014. Temperatures not seen in years are likely to set records in the coming days across the Midwest, Northeast and South, creating dangerous travel conditions and prompting church and school closures. 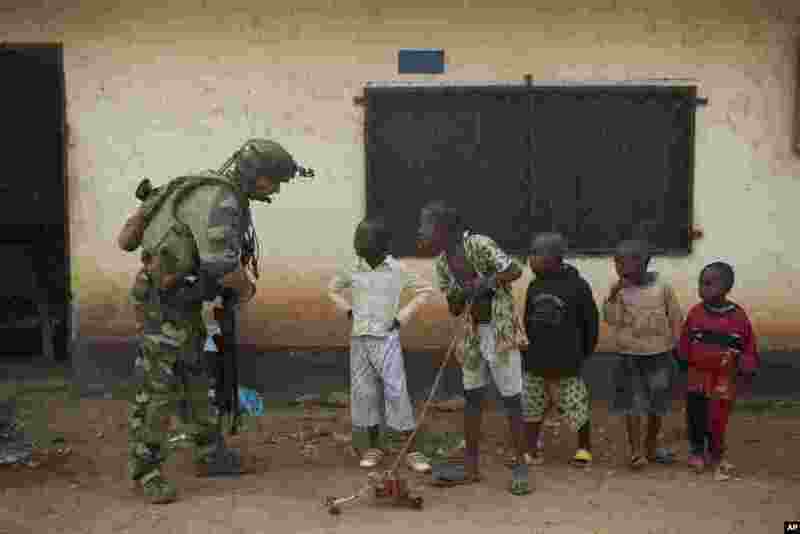 ٣ A French soldier talks to curious children as he mans a roadblock in the Miskine neighborhood of Bangui, Central African Republic. 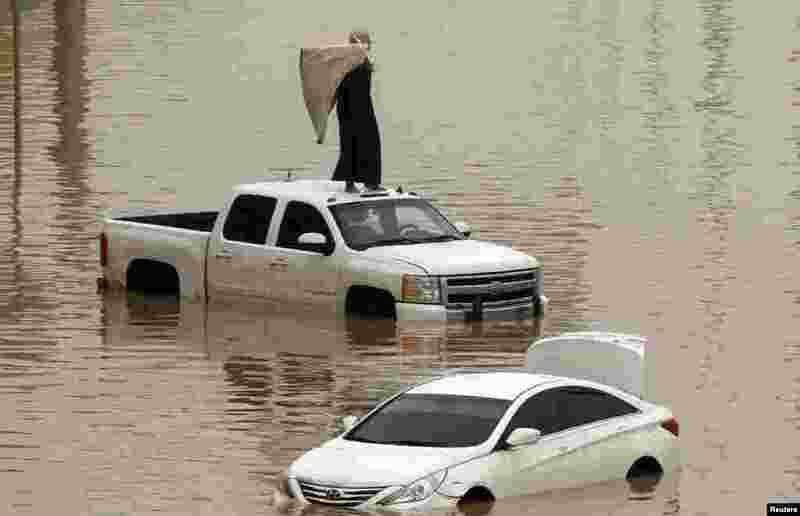 ٤ Cars are partially submerged in floodwater following heavy rains in Riyadh, Saudi Arabia.